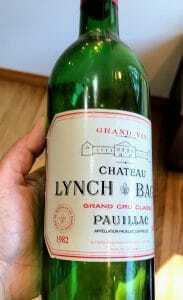 A few quick thoughts on the 2011 Lynch-Bages from Pauillac. 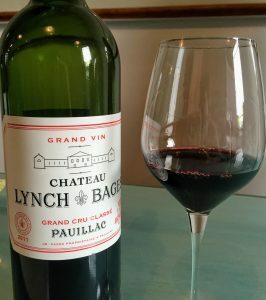 For more in-depth Geekery about Lynch-Bages see my write up for their the 2017 future offer. Compared to the near perfect vintages of 2009 and 2010, the 2011 vintage started off well with a dry and warm spring. A wet, rainy July threw a curve ball with things not quite getting back on track till September when harvest saw dry weather and warm temperatures. At Lynch-Bages, only around 66% of the harvest (from 90 ha/222.4 acres) made its way to the Grand Vin. The 2011 vintage is a blend of 72% Cabernet Sauvignon, 23% Merlot, 3% Cabernet Franc and 2% Petit Verdot. The wine was aged for 15 months in 65% new French oak. Medium intensity nose. Dark fruits with blackberry and blackcurrants. With air some cured tobacco spice pops out but overall this wine is rather quiet. The black licorice spice adds some complexity to this wine. On the palate the flavors get a little richer but nothing close to jammy or dense. The high tannins and medium-plus acidity hold the medium-plus fruit well but contributes to a thin taste. The tobacco spice from the nose gets more pronounced and brings black licorice and espresso coffee character as well. Moderate length finish ends on the dark fruit and testifies to its youth. I suspect that this 2011 Lynch-Bages is still at least 2-3 years from hitting its stride but the thinness of the mouthfeel makes me wonder how much it will still improve. The firm tannins will soften but the fruit is going to fade rather than grow in prominence. However, seeing the spice notes from the nose developing and becoming more complex on the palate is always a good sign. Right now the 2011 average $124 a bottle. Compared to 2010 ($224) and 2009 ($198) there is some value here but nothing worth beating down the door to get. Personally, I would be looking more to the 2012 ($119) and 2014 ($121) for value or the vastly superior 2015 vintage ($143) for the better wine at just a little bit more. Tagged Bordeaux vintages, Cabernet Franc, Cabernet Sauvignon, Ch. Lynch-Bages, Merlot, Petit Verdot. 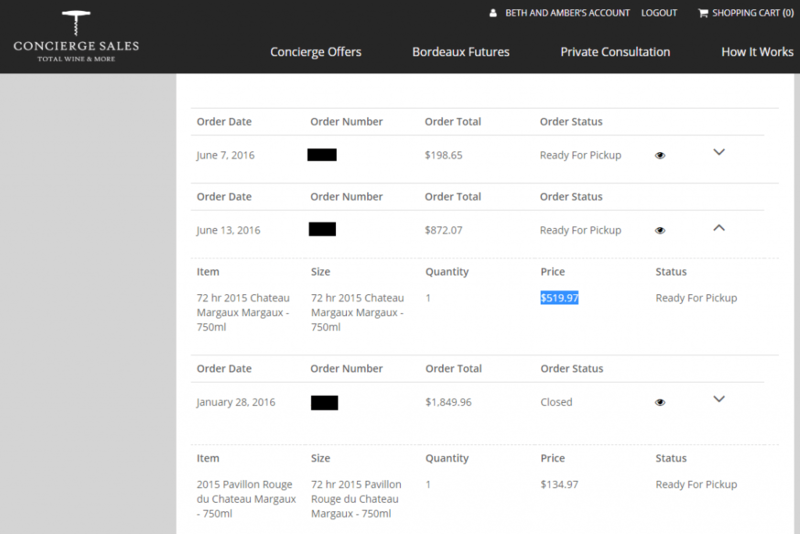 We are in the home stretch of our series on the 2017 Bordeaux Futures campaign with only a few more offers left to review. Today we’re making our second to last stop in Margaux to review the offers of the 3rd Growths Ch. Kirwan, d’Issan and Giscours as well as the 2nd Growth Brane-Cantenac. In our previous visits to the commune we explored the offers of Marquis d’Alesme, Malescot-St.-Exupéry, Prieuré-Lichine, Lascombes and Cantenac-Brown as well as that of Ch. Palmer. 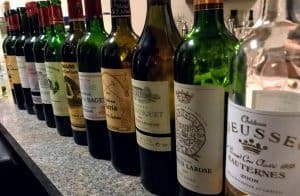 You can check out the links at the bottom to see other offers from across Bordeaux which we have reviewed so far in this series. The origins of Kirwan date back to the 17th century when the land belonged to the noble de Lassalle family. In 1710, the Bordeaux negociant Sir John Collingwood bought the property which eventually passed as a dowry to his daughter when she married an Irishman from Galway named Mark Kirwan. 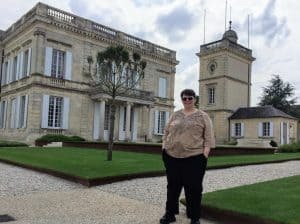 In 1780, Thomas Jefferson visited the estate on his tour of Bordeaux and ranked the wines of Kirwan as a “2nd Growth” behind his ranking of First Growths Latour, Lafite, Margaux and Haut-Brion. After Mark Kirwan passed away in the early 19th century, the estate went through a succession of owners until it family came into the hands of Camille Godard, the mayor of Bordeaux. In 1882, Godard bequeathed the estate to the City of Bordeaux who contracted the negociant firm Schröder & Schÿler to manage the property. By 1925, the Schÿler family had purchased Ch. Kirwan outright. The property is still in the hands of family today with Nathalie Schÿler managing. In 1991, the Schÿlers brought Michel Rolland in to consult. Prior to this, Rolland had worked almost exclusively with clients on the Right Bank making Kirwan his first foray into the Haut-Medoc. He quickly made several substantial changes, insisting on lower yields and more strict selections with the creation of a second wine, Les Charmes de Kirwan, to help limit the fruit that would go into the Grand Vin. Since 2002, all the fermentation have been done via native wild ferments. Ch. Kirwan is unique among the classified growths with virtually all of its 40 ha (99 acres) vineyards being the same as they were during the 1855 classifications with only slight changes in the cépage assortment. Today the vineyards are planted to 45% Cabernet Sauvignon, 30% Merlot, 15% Cabernet Franc, 10% Petit Verdot and a little bit of experimental Carménère. Over the years the amount of Cabernet Franc has decreased (and replaced with Cabernet Sauvignon) but Kirwan still has one of the highest percentages of Cabernet Franc and Petit Verdot planted in the Medoc. Most of the Cabernet varieties are found on the deep gravelly-sand soils of the Cantenac plateau while the Merlot thrives on the more clay and limestone-based soils on the western side of the Margaux commune near Arsac. The 2017 vintage is a blend of 55% Cabernet Sauvignon, 30% Merlot, 10% Cabernet Franc and 5% Petit Verdot. Around 16,000 cases a year are produced. Merlot berries being sorted at Ch. Kirwan during the 2010 harvest. Kirwan has been charming the pants off of me since the 2009 vintage (WS Ave $79). Both the 2012 (WS Ave $55) and 2014 vintage were released in the mid $40s and offered stellar value for the quality they delivered. Even the troublesome 2011 (WA Ave $54) and 2013 vintages of Kirwan drank way above their similarly priced peers with the former starting to see a steady price bump as more folks have catched on. That personal track record of producing a savory, yet elegant style which hits my pleasure spots as well as pricing which fits perfectly in line with the 2014 vintage makes this a Buy for me. Even though it looks like most critics have been poo-pooing this years release, this is a case where I’m going to go with my gut and past experience instead of numerical scores. Engraved above the door in the entryway to Ch. d’Issan is the estate’s Latin motto–Regum Mensis Arisque Deorum “For the tables of kings and the altars of the gods”–which pays tribute to the property’s long history and presence on the tables of royal families throughout Europe. Legend has it that wine from the vineyards of d’Issan were served at the wedding banquet of Eleanor of Aquitaine and King Henri II in 1152. Clive Coates notes in Grand Vins that following their defeat at the Battle of Castillon in 1453, the English Army made their last stand at d’Issan. At the conclusion of the Hundred Years War, the property was granted as a reward by King Charles VII to the Comte de Foix for his service is fighting the English. 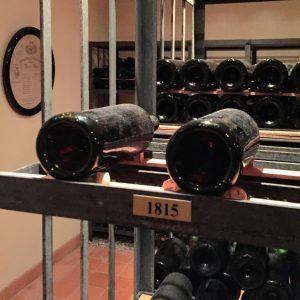 Centuries later the wines of d’Issan were well stocked in the cellars of the Prince of Wales (later George II) along with those of Latour, Lafite, Margaux and Pontac (Haut-Brion). While serving as the Ambassador to France, future US President Jefferson ranked the estate (then known as Ch. Candale) as a “3rd Growth” following his tour of the wineries of Bordeaux. In the 19th century, the favorite claret of Emperor Franz Joseph I of Austria was reportedly Ch. d’Issan. When Thomas Jefferson visited the estate in 1780, he ranked the wines Ch. Candale (named after its then owners) as a 3rd Growth–a ranking that would later be affirmed in the official 1855 Classification done by the Bordeaux Chamber of Commerce. The estate gets its name from its time under the ownership of the 17th century French knight Pierre d’Essenault who acquired the estate as a dowry with his descendants running it till 1760. The modern history of the estate began after World War II when it was purchased by the Cruse family who also owned the 2nd Growth Ch. Rauzan-Ségla. The Cruses eventually sold Rauzan-Ségla in 1956 to focus completely on d’Issan. The estate is still managed today by the Cruse family however, in 2013, Jacky Lorenzetti acquired a 50% stake in the ownership of d’Issan to go along with his holdings of Ch. Lilian Ladouys in St. Estephe and Ch. Pedesclaux in Pauillac. When the estate was officially classified as a 3rd Growth in 1855, the vineyards were planted almost entirely to the obscure variety Tarney Coulant (also known as Mancin). Today the 44 ha (109 acres) of d’Issan vineyards are planted to 60% Cabernet Sauvignon and 40% Merlot with the percentage of Merlot increasing in recent years. The 2017 vintage is a blend of 65% Cabernet Sauvignon and 35% Merlot. Around 6000 cases a year are produced. The castle looking chateau of d’Issan. The history geek in me absolutely adores the story of d’Issan. But I’ve only have had tasting experiences with a couple of vintages of d’Issan–both stellar years (2005 WS Ave $119 and 2009 WS Ave $95). While its relatively easy to make good wines in vintages like those, I find that the mettle of an estate shines in the more average to sub-par vintage. So while I love the story, without having a bearing on what the d’Issan team can do in vintages like 2017 or poorer, I’m not inclined to gamble on their 2017 offer. Pass. Founded in the 18th century as Domaine Guilhem Hosten and later known as Chateau Gorce-Guy, Brane-Cantenac received its current name when it was purchased in 1833 by Baron Hector de Brane, known as “the Napoléon of the Vineyards”. To finance the sale, Brane sold his Pauillac estate Brane-Mouton (later known as Mouton-Rothschild). The “Cantenac” comes from the plateau that the estate’s 75 ha (185 acres) are located on. In 1866, Brane-Cantenac came under the ownership of the Roy family who also owned neighboring d’Issan. Under the Roys the estate would fetch among the highest prices of all the classified 2nd growths with some vintages being on par with the pricing of the First Growths. The modern history of Brane-Cantenac began in 1920 when it was purchased by the consortium behind the Societe des Grands Crus de France that also owned Ch. Margaux and Ch. Giscours as well as Chateau Lagrange in St. Julien. Among the shareholders were Léonce Recapet and his son-in-law, François Lurton. After dissolution of the consortium in 1925, Recapet and Lurton purchased Brane-Cantenac with the estate later passing to François’ son, Lucien. Lucien Lurton would go on to acquire several estates that he turned over into the care of his 10 children in the 1990s. His son, Henri Lurton, took control of Brane-Cantenac in 1992. While mostly traditional in style, Brane-Cantenac was one of the first in Bordeaux to adopt the use of the use of an optical sorter during harvest and in some vintages will make use of a reverse osmosis machine–mostly in rainy vintages to remove excess water that has swelled the grapes. 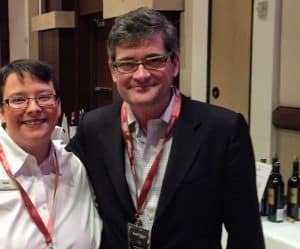 The author and Henri Lurton at the 2016 UGC tasting featuring the wines of the 2013 vintage. Around 25% of Brane Cantenac is farmed organically with only ploughing and organic manure used throughout all the vineyards. Additionally 12 ha (20 acres) are farmed bioydnamically. The 2017 vintage is a blend of 74% Cabernet Sauvignon, 21% Merlot, 4% Cabernet Franc and 1% Petit Verdot with this vintage being the first vintage to include Petit Verdot in the final blend. Around 11,000 cases a year are produced. In 2017, most of that year’s frost hit the portion of vineyards usually allocated towards production of the estate’s second wine, Baron de Brane. 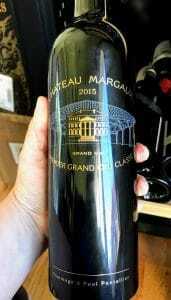 Describing Brane-Cantenac as the “Pauillac of Margaux” is a spot-on description. Outside of the top estates of Ch. Margaux and Ch. Palmer, no one else in the communes makes a more structured and age-worthy Margaux than Brane-Cantenac. Compared to its 2nd Growth peers and even the highly esteemed Pauillac 5th Growths Lynch-Bages and Pontet-Canet, Brane-Cantenac is often vastly underpriced for its quality level. However, it is that highly structured and exceptionally age-worthy style which causes me to avoid Brane-Cantenac in vintages like 2017 when I’m looking for more shorter term “cellar defender” wines. 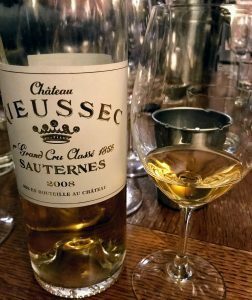 While the estate is a stellar buy in cellar-worthy vintages like 2009/2010 and 2015/2017, it doesn’t fit the bill on what I’m looking right now so Pass. While the origins of Giscours goes back to the 14th century, the first documentation of winemaking at the property dates to 1552. In the 18th century, the estate was owned by the Marquis de St. Simon whose family saw the government confiscate Giscours during the French Revolution. The property was sold in 1793 to two Americans, John Gray and Jonathan Davis. Eventually Giscours was acquired in 1845 by a Parisian banker, the Comte de Pescatore, who hired Pierre Skawinski to manage the property. The exterior of Ch. Giscours. Over the next 50 years, Skawinski would go on to develop many innovations in the vineyard and winery including the design of a new plow as well as the use of sulfur spray to combat powdery mildew. He also developed techniques of gravity flow winemaking at Giscours that his sons would later take to other notable Bordeaux estates like Léoville-Las Cases, Lynch-Bages and Pontet-Canet. In 1875, Giscours was purchased by the Cruse family who had their hand in the ownership of several Bordeaux properties. They sold the estate in 1913. By 1952, Giscours came under the ownership of an Algerian vigneron, Nicolas Tari. In 1976, Tari’s son, Pierre, was one of the judges at the famous “Judgement of Paris” wine tasting in 1976. Today Giscours is owned by Eric Albada Jelgersma who also owns the 5th Growth Margaux estate Chateau du Tertre, the Haut-Medoc estates Ch. Duthil and Ch. 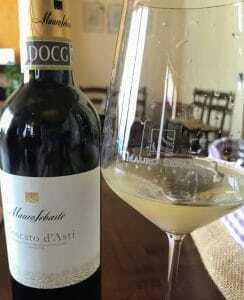 Houringe as well as the Tuscan estate of Caiarossa. In 1995, Alexander van Beek was brought in to manage the estate and is credited with taking Giscours (as well as du Tertre) to new heights of success. All the vineyards are sustainably managed with 20% farmed biodynamically. The 2017 vintage is a blend of 71% Cabernet Sauvignon, 24% Merlot and 5% Petit Verdot. Around 25,000 cases a year are produced. The 2005 Giscours is such a beauty but even in sub-par vintages Giscours has been producing winners that over deliver for the price of a 3rd Growth. Probably one of the best buys in Bordeaux is the 2005 Giscours (WS Ave $102). This is a wine that is drinking at its peak now and is easily outshining wines almost twice its price. I’ve been fortunate to enjoy this wine several times with a few bottles still left in the cellar. Likewise the 2012 (WS Ave $75) and 2014 are still punching above their weight though both were closer to $55 when they were released. It’s been clear for sometime that Giscours has been an estate on the ascent but, sadly for our wallets, the prices are starting to catch up with its stellar quality level. That makes seeing a 2017 future offer below 2014 levels quite surprising. While I doubt the price of the 2017 will reach into the $70s, it’s far more likely that the wine will be closer to 2014 by the time this wine hits the shelf in 2020. It’s worth it to Buy now and lock in the futures price. 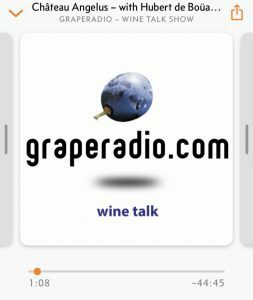 Tagged 1855 Classification, Alexander van Beek, Antonio Galloni, Armand Schÿler, Arsac, Baron Hector de Brane, Battle of Castillon, biodynamic, Bordeaux futures, Bordeaux vintages, Brane Cantenac, Brane-Mouton, Cabernet Franc, Cabernet Sauvign, Caiarossa, Camille Godard, Cantenac plateau, Cellar defender, Ch. Candale, Ch. Duthil, Ch. Houringe, Charles VII, Chateau du Tertre, Chateau Gorce-Guy, Château Lagrange, Chateau Margaux, Clive Coates, Comte de Foix, Comte de Pescatore, Cruse family, d’Issan, de Lassalle family, Decanter, Domaine Guilhem Hosten, Eleanor of Aquitaine, Eric Albada Jelgersma, François Lurton, Franz Joseph I, French Revolution, George II, Giscours, Grand Vins, gravity flow, Henri Lurton, Henry II, Hundred Years War, Jacky Lorenzetti, James Suckling, Jane Anson, Jean-Henri Schÿler, Jeb Dunnuck, Jeff Leve, JJ Buckley, John Collingwood, John Gray, Jonathan Davis, Judgement of Paris, K&L, Kirwan, Léonce Recapet, Léoville Las Cases, Lilian Ladouys, Lucien Lurton, Lynch-Bages, Mancin, Margaux, Mark Kirwan, Marquis de St. Simon, Merlot, Michel Rolland, Mouton-Rothschild, Nathalie Schÿler, Neal Martin, Nicolas Tari, optical sorter, Organic viticulture, Palmer, Pedesclaux, Petit Verdot, Pierre d’Essenault, Pierre Skawinski, Pierre Tari, Pontet-Canet, Rauzan Segla, reverse osmosis, Schröder & Schÿler, second wine, Societe des Grands Crus de France, Spectrum Wine Auctions, Sustainable Viticulture, Tarney Coulant, Thomas Jefferson, Total Wine, UGC tasting, Vinfolio, Vinous Media, Wine Advocate, Wine Enthusiast, Wine Searcher, Wine Spectator. We head back to St. Emilion to look at some of the 2017 Bordeaux Futures offers from 4 of the 14 Premier Grand Cru Classé ‘B’ — Clos Fourtet, Ch. Larcis Ducasse, Ch. Pavie Macquin and Ch. Beauséjour Duffau-Lagarrosse. In our previous jaunts to St. Emilion we examined the offers of Clos de l’Oratoire, Ch. Monbousquet, Ch. Quinault l’Enclos and Ch. Fonplegade as well as Ch. Beau-Séjour Bécot, Ch. Canon-la-Gaffelière, Ch. Canon and Ch. La Dominique. You can also check out our first Bordeaux Futures 2017 post covering the offers of the St. Emilion estates of Ch. Valandraud and Ch. 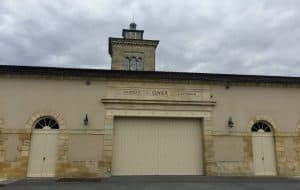 Fombrauge with more links at the bottom of the page featuring other estates across Bordeaux that we have reviewed so far in this series. Located on the limestone plateau, near the entrance to the town of St. Emilion itself, Clos Fourtet was first born as Camfourtet–a defensive fortification built during the Middle Ages to protect the village. Roughly translated as “Camp Fort”, vines were planted by the late 18th century when it was owned by the Carles family who also owned Ch. Figeac. The Chateau of Clos Fourtet. In 1868, the estate’s owners, the Rulleau family, changed the name to Clos Fourtet. In 1919, the property was purchased by the Ginestet family–a powerful negociant family who owned several properties throughout the Bordeaux. They would own the estate until 1948 when it was “traded” to François Lurton in exchange for the Ginestets receiving his share of Chateau Margaux. Under the Lurton family, the quality in the vineyards and winery steadily improved with François’ grandson, Pierre Lurton, taking over winemaking in the 1980s. Pierre would continue to manage the estate until 1991 when he left to manage Cheval Blanc. He was succeeded by Tony Ballu who is still managing Clos Fourtet today. In 1999, the Lurtons sold Clos Fourtet to Philippe Cuvelier who made his money in the office supply industry. Cuvelier retained Ballu and brought in his son, Mathieu, to assist in managing the estate. Jean Claude Berrouet, the former winemaker of Chateau Petrus, and Stéphane Derenoncourt consult. In addition to Clos Fourtet, the Cuveliers also own the St. Emilion estates of Ch. Les Grandes Murailles, Clos St. Martin and Ch. Cote de Baleau as well as the Haut-Medoc cru bourgeois Ch. Poujeaux. All 20 ha (49 acres) of the estate are farmed sustainably with parcels being converted to biodynamic since 2010. The 2017 vintage is a blend of 86% Merlot, 10% Cabernet Franc and 4% Cabernet Sauvignon. Around 4,500 cases a year are produced. The 2014 Clos Fourtet was one of my favorite wines during the 2017 Union des Grands Crus de Bordeaux tasting highlighting the wines of the 2014 vintage. I ended up buying several bottles that night which are still in my cellar. While I appreciate that the 2017 pricing for Clos Fourtet is tilting closer to 2014 instead of 2015/2016 pricing, I’m quite content sticking with the sure thing of the 2014s I bought so I will Pass. The origins of Larcis Ducasse date back to Roman times when the hillside slope on the southern end of the St. Emilion plateau (near modern-day Ch. Pavie) was particularly prized by Roman viticulturists. The modern history of the estate began in 1893 when it was purchased by Henri Raba. Through the female line of his descendants, the property has remained in the ownership of the same family for over a 120 years with Jacques-Olivier Gratiot managing the estate since 1990 when his mother and niece of Henri Raba, Hélène Gratiot-Alphandéry, passed away. 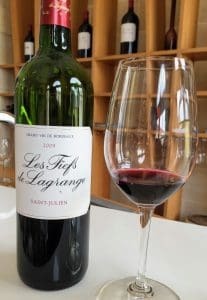 While the last half of the 20th century saw the quality level of Larcis Ducasse dip, things began to turn around when Gratiot brought in Nicolas Thienpont in 2002 to manage the estate. Well known for his work at fellow Premier Grand Cru Classé ‘B’ estates Ch. Pavie Macquin as well as Château Berliquet, Thienpont began a series of extensive renovations in the vineyard and winery. Stéphane Derenoncourt consults for Larcis Ducasse as well as several other estates in St. Emilion. Since 2005, the entire estate was converted to organic viticulture and, with the assistance of consultant Stéphane Derenoncourt, wine production methods were changed to incorporate whole berry fermentation, micro-oxygenation and gravity flow movement. Several prime parcels of the 11 ha (27 acre) estate are located next to the Premier Grand Cru Classé ‘A’ estate of Ch. Pavie while others neighbor Ch. Pavie Macquin, Canon-la-Gaffelière, La Gaffelière and Troplong-Mondot. The 2017 vintage is a blend of 92% Merlot and 8% Cabernet Franc. Around 3000 cases were produced. Larcis Ducasse is another estate that I bought several bottles of the 2014 vintage of. However, my experience with this wine and previous vintages is that it is going to need a bit more time in the bottle than typically what I would hope for with a “cellar defender”. The 2012 (Wine Searcher ave $68) likewise was charming and undoubtedly age-worthy though I fret I may only have a single bottle left of that vintage in the cellar. I strongly suspect the 2017 will follow the same pattern. But with the 2014 and 2012 being much more attractively priced, I’m going to Pass on this offer in lieu of hopefully finding more of these older vintages on the market. Ch. 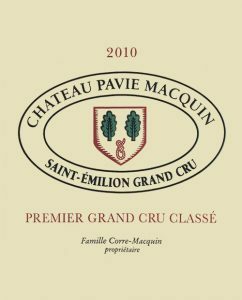 Pavie Macquin was once part of the large Pavie estate that extended from the top of the St. Emilion plateau and down the southern slope. In 1887, Albert Macquin purchased the Chapus-Pavie and Pavie-Pigasse sections located on the top of the plateau to form the estate that now bares his name. Macquin earned his fortune in the aftermath of the phylloxera epidemic pioneering grafting techniques to plant Vitis vinifera vines onto American rootstock. Noting the susceptibility of vines planted on limestone soils to develop chlorosis (a nutrient deficiency particularly impacting iron uptake), Macquin advocated for the use of Vitis berlandieri rootstock which had much more tolerance to lime-rich soils. Over the next several years, his nursery produced more than 1 million grafted vines to help replant the Libournais after the devastation of phylloxera. Today the estate is ran by Macquin’s grandchildren, Benoît and Bruno Corre and Marie Jacques Charpentier. In 1990, the owners brought in Stéphane Derenoncourt to consult and assist with converting the vineyard to biodynamic viticulture. However, a particularly bad attack of mildew in 1993 caused Pavie Macquin to lose more than 2/3 of its crop and ended the estate’s experimentation with biodynamics. The vineyards are still farmed organically but without certification to maintain the flexibility of being able to respond if another viticultural hazard threatens a vintage. In 1994, Nicolas Thienpont of the notable Belgian merchant family–whose extended members own such illustrious properties as the Pomerol estates Le Pin and Vieux Chateau Certan as well as the Margaux estate Clos des Quatre Vents–was brought in to manage the estate. The oak leaves and noose on the modern labels of Pavie Macquin pay homage to the unique history of a large oak tree on the estate. The 15 ha (37 acres) of Pavie Macquin are located above Ch. Pavie, next to Pavie Decesse, on the plateau with Troplong Mondot to the west and Ch. Trottevielle to the north. On the property is a large solitary oak tree believed to be hundreds of years old. According to legend this tree was the site of criminal executions and the modern bottles of Pavie Macquin pay homage to this history with the image of two oak leaves and a noose on the label. The 2017 vintage is a blend of 80% Merlot, 18% Cabernet Franc and 2% Cabernet Sauvignon. Around 4,500 cases a year are produced. At the risk of sounding like a broken record, I’m just not very inspired at these 2017 prices compared to those of the still available and very delicious 2014 wines that are out on the market. Like 2017, the 2014 vintage was an uneven year that was mostly saved by a nice Indian summer which led to a dry and warm harvest. Coming off the releases of the fairly rough years of 2013 and 2011–and then succeeded by the blockbuster 2015/2016–prices for 2014 have kept steady as the wines have made their way to market with a quality level that has surprised many. 2017 could also go own to surprise folks in the bottle but, for my money, a bird in the hand is worth two in the bush so as long as the pricing for 2014s are more enticing I’m going to Pass on gambling on the potential of 2017. Like neighboring Ch. Beau-Séjour Bécot and Ch. Canon, Beauséjour Duffau-Lagarrosse was once part of a large ecclesiastical estate that was tended in the Middle Ages by the monks of Saint-Martin de Mazerat. In the 17th century, the Beauséjour half of the property (known as Peycoucou) came into the hands of the Gerès family who were the current Lord of Camarsacs. A descendant of theirs married into the Carles de Figeac family in 1722 with the estate bequeathed to the new couple as a dowry. It wasn’t until 1787 when the couple’s son, a general in the Bourbon army, rechristened Peycoucou as Beauséjour meaning “Good day”. In the early 1800s, the wines of Beauséjour merited critical acclaim with Clive Coates noting in Grand Vins that they were often ranked 5th in the commune behind only those of Belair, Troplong Mondot, Canon and Ausone. Eventually the estate passed to a cousin, Pierre-Paulin Ducarpe, who upon his death saw the estate divided between his two children. His son received the half that would become Beau-Séjour Bécot while his daughter, who married into the Duffau-Lagarrosse family, received the other half. 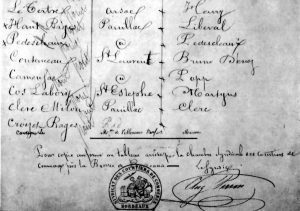 Today, the same family still owns Beauséjour Duffau-Lagarrosse. Since 2009, Nicolas Thienpont has been in charge of winemaking with both Michel Rolland and Stéphane Derenoncourt consulting. The estate is composed of one single 6.5 ha (16 acres) parcel that spans the top of the St. Emilion plateau, west of the city, near Beau-Séjour Bécot and Canon and along the slopes near Clos Fourtet, Ch. Angelus and Clos Saint Martin. The 2017 is a blend of 88% Merlot and 12% Cabernet Franc. The winery produces around 800 to 1,200 cases of the Grand Vin each vintage. With pricing averaging nearly $20 more than the 2014 vintage, this offer for Beauséjour Duffau-Lagarrosse already had one strike against it. Then couple it with a very oaky style that multiple tasting notes from critics suggest is going to need quite a bit of time and I have little reason to see this 2017 wine fitting my plans for a “cellar defender”. Pass. Tagged Albert Macquin, Antonio Galloni, Ausone, Beauséjour Duffau-Lagarrosse, Belair, Benoît and Bruno Corre, biodynamic, Bordeaux futures, Bordeaux vintages, Cabernet Franc, Cabernet Sauvignon, Carles de Figeac family, Cellar defender, Ch. Angelus, Ch. Beau-Séjour Bécot, Ch. Canon, Ch. Cote de Baleau, Ch. Larcis Ducasse, Ch. Les Grandes Murailles, Ch. Pavie, Ch. Pavie Macquin, Ch. Poujeaux, Ch. Trottevielle, Château Berliquet, Chateau Margaux, Chateau Petrus, Cheval Blanc, chlorosis, Clive Coates, Clos des Quatre Vents, Clos Fourtet, Clos St. Martin, Duffau-Lagarrosse family, François Lurton, Gerès family, Ginestet family, Grand Vins, Hélène Gratiot-Alphandéry, Henri Raba, Jacques-Olivier Gratiot, James Suckling, Jancis Robinson, Jean Claude Berrouet, Jeb Dunnuck, Jeff Leve, JJ Buckley, Julia Harding, K&L, Le Pin, Lord of Camarsacs, Lurton family, Marie Jacques Charpentier, Mathieu Cuvelier, Merlot, Michel Rolland, micro-oxygenation, Nicolas Thienpont, Organic viticulture, Pavie Decesse, Philippe Cuvelier, phylloxera, Pierre Lurton, Pierre-Paulin Ducarpe, Roman viticulture, Rulleau family, Saint-Martin de Mazerat, Spectrum Wine Auctions, St. Emilion, Stéphane Derenoncourt, Sustainable Viticulture, The Wine Cellar Insider, Tony Ballu, Total Wine, Troplong-Mondot, UGC tasting, Union des Grands Crus de Bordeaux, Vieux Château Certan, Vinfolio, Vinous Media, Vitis berlandieri, whole berry fermentation, Wine Advocate, Wine Enthusiast, Wine Searcher, Wine Spectator. For the last several postings in our series about the 2017 Bordeaux Futures campaign, we’ve been skipping around Bordeaux to focus on the offers from different communes. Today we’re going to take a break from that to look at some individual offers from the St. Estephe 2nd Growth Ch. Montrose and its second wine, La Dame de Montrose. Then we are going to head out to the Haut-Medoc AOC to check in on the 5th Growth Ch. Cantemerle before ending on the offer from another Vignobles Comtes von Neipperg estate with Ch. d’Aiguilhe in the Côtes de Castillon region of the Right Bank. If you are new to our Bordeaux Futures series, be sure to check out my post on Why I Buy Bordeaux Futures as well as the our first Bordeaux Futures 2017 post covering the offers of Palmer, Valandraud, Fombrauge and Haut-Batailley. At the bottom of page are links to the offers of other estates that we’ve reviewed so far in this series. The vivid pink color of heather flowers in bloom on the hill that would become Montrose could be scene by sailors on the Gironde. Founded in 1815, Ch. Montrose was the youngest estate to be classified 40 years later in the 1855 classification. However, the history of the land dates back much longer when it was part of the historical Calon-Ségur estate that was once owned by the Marquis de Ségur–the “Prince of Vines” who also owned what would become the First Growths of Ch. Latour, Lafite and Mouton-Rothschild. The descendants of the Marquis sold Calon-Ségur in 1778 to Etienne Théodore Dumoulin. His son, also named Etienne Théodore, took interest in an unplanted hill on the property near the Gironde known as La Lande de l’Escargeon that was covered in heather, stunted trees, gorse and bramble. Underneath this growth was a croupe of gravel soils that Dumoulin suspected would be ideal for grape growing. Dumoulin cleared the hill and renamed it Montrose (hill of pink) with the name likely alluding to the pink (rosé) heather flowers that were visible to sailors on the Gironde when they were in bloom. While Dumoulin would later sell Calon-Ségur in 1824, Montrose would stay in his family until 1861 when it was sold to an Alsatian businessman, Mathieu Dollfus. Clive Coates notes in Grand Vins that Dollfus was a very progressive employer for his time–building housing and a well for all his winery and vineyard workers, offering them free medical care and paid maternity leave as well as dividing 10% of the profits between them on top of their salaries. When Dolffus passed away in 1887, the estate was sold to the Hostein family who owned Ch. Cos d’Estournel. In 1896, it was passed to Louis Victor Charmoule who was born at Ch. 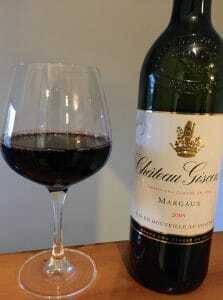 Figeac in St. Emilion and married into the Hostein family. The Charmoule family would own Ch. Montrose for more than 100 years until 2006 when it was sold to the Bouygues brothers who made their fortune in the construction and telecom business. A bottle of 2000 Montrose, one of the last few vintages of the Charmoule family. Under the Bouygues ownership, Herve Berland–formerly of Ch. Mouton-Rothschild–was brought in to manage the estate and Jean Bernard Delmas, previously of Ch. Haut-Brion, was coaxed out of retirement to oversee the winemaking both at Montrose and at the Bouyques’ neighboring sister property of Ch. Tronquoy Lalande. The 2017 vintage is a blend of 76% Cabernet Sauvignon, 20% Merlot, 3% Cabernet Franc and 1% Petit Verdot. Around 15,000 cases a year are produced. Montrose is a stalwart in my cellar but even though I know the style has been changing to make the wines more approachable younger, I never want to touch a bottle until it has at least 15 years of age on it. 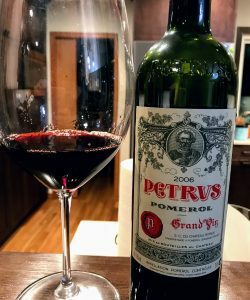 A couple years ago, I opened up a 2005 with just a little over 10 years of age and it was heartbreaking how tight and not ready that wine was–especially since that was my only bottle and it is now fetching over $200. Lesson learned. Needless to say that means that even though this will undoubtedly be a tasty bottle and a solid value with pricing under 2014 levels, Montrose’s style doesn’t fit with my personal objectives of finding early-drinking “cellar defenders” from this 2017 vintage. So while this will be good buy for other Bordeaux fans, it will be a Pass for me. La Dame de Montrose is named after Yvonne Charmolue, mother of Jean Louis Charmolue who created the wine in the 1980s. In January 1944, more than a year before World War II would come to an end, Yvonne’s husband, Albe Charmolue, passed away leaving just Yvonne to care for the estate and her young son. 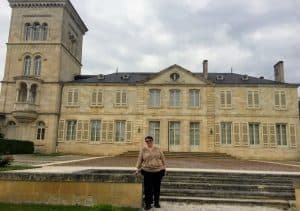 During this time, Montrose was still recovering from having the chateau and several of the winery’s buildings occupied by the Wehrmacht artillery with portions of the vineyards used as a rifle range by the German soldiers. The unit’s presence and its location near the Shell petrol refinery in neighboring Pauillac made the area a frequent target for Royal Air Force bombers with several bombs that overshot their targets hitting the vineyards and creating huge craters. A bottle of 1953 Montrose–one of several post war vintages that the widow Yvonne Charmolue would oversee the production of. With only the assistance of Marcel Borie, owner of the 5th Growth Ch. Batailley and mayor of Pauillac, Yvonne single-handedly managed Ch. Montrose for the next 16 years until Jean Louis was ready to take over in 1960. In 1982, around 30,000 cases a year of the Grand Vin of Montrose was produced. 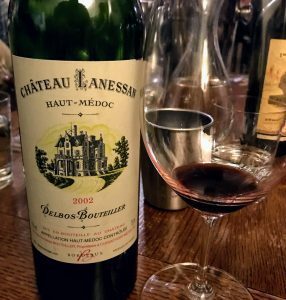 With the introduction of La Dame de Montrose in 1984 as well as the reintroduction of a mostly restaurant-only third wine, Le Saint Estephe de Montrose, in the 2000s that number has been halved to around 15,000 cases a year of the Grand Vin being produced from the 95 ha (235 acre) estate. Today a little more than half of the crop is declassified with La Dame de Montrose getting around 30% of the total crop and Le Saint Estephe de Montrose getting about 20%. The remaining fruit is sold off in bulk. The 2017 is a blend of 49% Merlot, 43% Cabernet Sauvignon, 4% Cabernet Franc and 4% Petit Verdot. Around 10,000 cases a year are produced. While I’m a huge fan of Montrose and I adore the story of La Dame, this is another second wine that has never really wowed me–even though it remains a decent value as the prices of other second wines keep jumping. 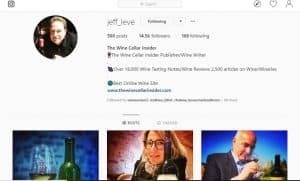 There is nothing offensive about the wines but for the same $40-50 price point, I can find plenty of other Bordeaux wines that deliver more pleasure for my money. I wouldn’t be opposed to purchasing this at a restaurant but even with pricing below 2014, there is nothing very compelling about this wine to entice me to buy for the cellar. Pass. Ch. 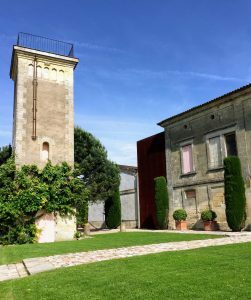 Cantemerle is one of the oldest estates in the Haut-Medoc with a history dating back to the 11th century when the property belonged to the Lords of Cantemerle. Unlike the other vassals who were seigneurs of the powerful Lords of Blanquefort, Cantemerle were direct vassals of the king and had many privileges. In 1575, the estate came into the hands of the Villeneuve family who would own Cantemerle for over 300 years and count Gabrielle-Suzanne Barbot de Villeneuve, author of Beauty and the Beast, as an extended member. In the 19th century, the wines of Cantemerle where held in high esteem and regularly ranked as 4th or 5th Growths. But its entire production was sold almost exclusively through Dutch merchants so when the local merchants and brokers of Bordeaux put together the original 1855 Classification, Cantemerle was omitted. When the owner, Madame Caroline de Villeneuve-Durfort, heard about this slight, she barged down to the offices of the Bordeaux Chamber of Commerce while the Paris Exposition unveiling the classification was still taking place. With over 40 years worth of receipts, she argued successfully to the head of the broker’s union that the wines of Cantemerle had a long track record of fetching prices on par with many of the wines that were included in the classification. For her efforts, Cantemerle was added to the original document listing the estates of the 1855 classification, albeit clearly in a different handwriting than the other estates. In the 20th century, the property came into the hands of the Dubois family who owned Cantemerle until 1981 when it was sold to the French insurance group SMABTP with the Cordier family (of Ch. Talbot and the notable negociant house fame) managing the vineyard and winemaking. Today Cantemerle is still owned by SMABTP where it is part of a portfolio that includes the St. Emilion estates of Ch. Haut Corbin, Ch. Grand Corbin and Ch. Le Jurat. In 1993, Philippe Dambrine replaced the Cordiers as estate manager and is still responsible for production today. The 2017 is a blend of 71% Cabernet Sauvignon, 25% Merlot and 4% Petit Verdot. Around 25,000 cases a year are produced. The history geek in me loves the story of Cantemerle and particularly the feisty Madame Villeneuve-Durfort who wouldn’t take no for an answer. When I look at photos showing the shaky and hastily added Cantemerle to the 1855 classification, I chuckle thinking of Madame Villeneuve-Durfort hovering over the shoulder of the scared broker and his pen. However, despite that love and affection for the story, outside of the 2010 Cantemerle (WS Ave $55), I really haven’t found much in the glass to excite me. 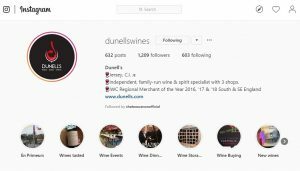 The pricing is certainly intriguing because there aren’t many classified growths being sold for less than $40–much less under $30–but I prefer to take a wait and see approach with Cantemerle. I may get a bottle when it hits the market (likely around the $35 price point then) and see if there is finally something there worth getting excited about. Till then I’ll Pass. While wine has been produced at the estate since the 1700s when it was owned by the Leberthon family, the modern history of Ch. d’Aiguilhe (meaning “needle”) began in 1989 when it was purchased by Stephan von Neipperg. Von Neipperg, who also owns the St. Emillion Premier Grand Cru Classé ‘B’ estates La Mondotte and Ch. Canon-la-Gaffelière as well as Clos de l’Oratoire, Ch. Peyreau, Clos Marsalette in Pessac-Léognan, the Sauternes Premier Cru Ch. Guiraud, Capaia in South Africa and Bessa Valley in Bulgaria, brought in his longtime consultant Stéphane Derenoncourt and began renovating the estate and vineyards. All the vineyards are farmed organically with many parcels biodynamic. The 2017 vintage is a blend of 90% Merlot and 10% Cabernet Franc. Around 20,000 cases a year are produced though with close 60% of the production being lost to frost in 2017, that number will be much lower this vintage. As I noted in my reviews of the 2017 offers for Canon-la-Gaffelière and Clos de l’Oratoire, I strongly equate the wines of von Neipperg and Derenoncourt with very New World-ish, Napa-like styles. 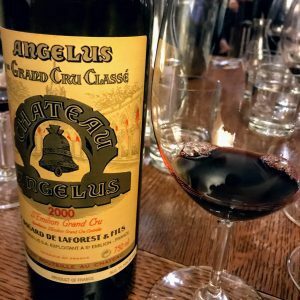 While that is a style that I tend to avoid during more highly regarded Bordeaux vintages (where I’m looking for more classical and age-worthy Bordeaux), this more lush and fruit forward style fits perfectly into the mold of short-term consumption “cellar defenders” I aim for in vintages like 2017. And the value is always there as well with it being very difficult to find sub-$30 Napa wines drinking to level of Château d’Aiguilhe. While I’m not going to spring for cases, this is an easy Buy for several bottles. Tagged 1855 Classification, Antonio Galloni, Beauty and the Beast, Bessa Valley, biodynamic, Bordeaux futures, Bouygues brothers, Cabernet Franc, Cabernet Sauvignon, Calon Segur, Cantemerle, Capaia, Cellar defender, Ch. Batailley, Ch. Canon-La-Gaffeliere, Ch. d’Aiguilhe, Ch. Figeac, Ch. Grand Corbin, Ch. Guiraud, Ch. Haut Corbin, Ch. Le Jurat, Ch. Peyreau, Ch. Talbot, Charmoule family, Clive Coates, Clos de l’Oratoire, Clos Marsalette, Cordier family, Cos d'Estournel, Cotes de Castillon, Decanter, Dubois family, Etienne Théodore Dumoulin, Gabrielle-Suzanne Barbot de Villeneuve, Grand Vins, Haut-Brion, Haut-Medoc, Herve Berland, Hostein family, James Suckling, Jancis Robinson, Jane Anson, Jean Bernard Delmas, Jean Louis Charmolue, Jeb Dunnuck, Jeff Leve, JJ Buckley, Julia Harding, K&L, La Dame de Montrose, La Mondotte, Leberthon family, Lords of Blanquefort, Lords of Cantemerle, Louis Victor Charmoule, Madame Caroline de Villeneuve-Durfort, Marcel Borie, Marquis de Ségur, Mathieu Dollfus, Merlot, Montrose, Mouton-Rothschild, Organic viticulture, Petit Verdot, Philippe Dambrine, SMABTP, Spectrum Wine Auctions, St. Estephe, Stephan von Neipperg, Stéphane Derenoncourt, Total Wine, Tronquoy Lalande, Vignobles Comtes von Neipperg, Villeneuve family, Vinfolio, Vinous, Wine Advocate, Wine Enthusiast, Wine Searcher, Wine Spectator, World War II, Yvonne Charmolue.